This entry was posted on Wednesday, November 5th, 2008 at 6:14 pm and is filed under Uncategorized. You can follow any responses to this entry through the RSS 2.0 feed. You can leave a response, or trackback from your own site. There is (or was) another very famous entrant to the Jampot Street Food Hall of Fame! Labh Singh’s Chaap Shop on Station Raod in Jugsalai, perhaps the only place open all night where one could get dinner (finger licking chicken and mutton chaaps to die for amongst other items) at all hours of the night or morning! All other spots were outside town on the NH. You parked your car beside the wall and ‘butrus’ would run to get your orders and shortly thereafter appear over the wall (with the help of a construction ladder) balancing plates of parathas and delicious chaaps with the masala pyaaz and mirchi and cool lassi to put out the fire! Good, stuff…i will hit these joints next! Great stuff Santosh! May I add few more joints which I think were also famous during the time I was are Jsr. One of them was Frank’s a chinese resturant at Bistupur which used to serve the most authentic chinese grub especially when this kind of food was not too popular. I remember these guy’s also ran a shoe store at Bistupur Main road. Then there was Bombay Sweet Mart where it was almost de rigeur to pop in after a movie at at the only movie hall (Natraj); all others were ‘Talkies’. Manoj: Yes, I have heard of Labh Singh place, but never been there. Wonder if it still exists! Parathas with mutton chaap is heavenly! Aditi: Good! And maybe you can (re)discover some more joints and write about them on your blog! Rajiv: Thanks for reminding me of these other places. BSM indeed was a must visit place. Even for our family on our very infrequent outings. Till, one day, my mother discovered to her horror that a waiter there was using the bunch of forks in his hand to scratch his back! That was the end of BSM for us!! BTW, I have written a detailed piece (titled Cinemania 1) on this blog earlier on the cinema halls (and talkies!) of Jamshedpur. My list of the best at Jampot would differ and its based on my last venture in 2007…. 1. Fakira chanachur does dish out the same heavenly misture, but the sales has been overtaken (rather beaten bady) by Girish Chanachur (mentioned in the article as one in Sakchi). Compared to Fakira, the Girish chanachur tastes less spicy, much less oily and has much more ingredients. Anytime you go, there is a queue. 2. The egg rolls at regal were huge hits in the 80s-90s, but no more. One reason is the location, which shifted from an open area to now into more of a small alley. For the best rolls on planet earth (after the ones in Kolkata) is Lakkhi egg roll hotel in Sakchi near Basant Talkies. It has variety, good quantity, makes fresh stuff in more closed rooms (not open streets) and tastes world class. Try the kabab rolls there. 3. 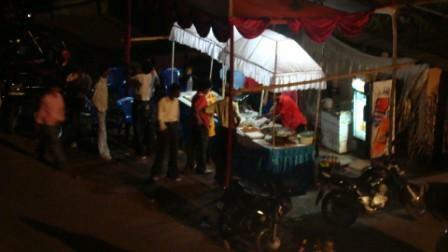 For chaat, raj kachoris there are 2 wheeled cart stalls behind the bistupur railway booking centre. For the more hygiene conscious, the ones which Chappan Bhog serves in bistupur is equally tasty. Also there is one such lane in Sakchi too – am not much aware. 4. 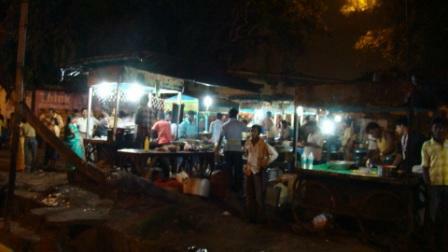 For Litti, my vote goes to a stall which stands outside Kamani Centre, near the Amar market gate. 5. The best Idlis in that part of the world are sold by a wheeled-cart stall near Keenan Stadium(would be 200mtrs from the Rusi Mody park down the road). The stock is so good that it gets over by noon, and if you want to pack idlis the best time is only at 730am and you will still be on queue. The dosas are good too. 6. And lastly for Indian veg food, the best around is Karnail Singh hotel in Sakchi. It is heavenly spicy, dirt cheap and great for take aways for Naan, Rotis, Chana, Paneer and Veg preparations. where do i start from , suddenly i am feeling like having the potato chips of beldih club, the aloo bonda of tube makers club, the chicken fry of telco club. what to eat & what not to eat !!! Gosh, we reallly miss jampot !!! 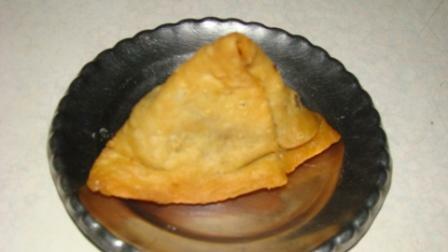 oh forgot Perry ke samose !! O yes! I too remember how and when our tryst with BSM ended – exactly at that moment when the ‘baira’ ploncked the glasses of water with his finger adequately dipped in!!! Avijit: Thank you for compiling this wonderful list! How I wish I knew all this before my JSR trip. Let me clarify, my piece was not an attempt at listing the best. I merely wrote about all the joints we went to during the Puja vacations. I studied in JSR till the late seventies and my visits have dwindled over the last few years. So, JSR for me is still Fakira etc and not the newer places. But thanks for this list of yours. I am sure others too who read it will be happy to have a ready compilation of the current greats! PS: Thanks for endorsing the D Road Singhara! D Road is where I stayed, and my parents live there still. Saurabh: There is a gol-gappa wallah next to Bengal Club which we visited and we found his stuff to be A-class. And when you say aloo bonda, you really mean aloo-chop, right? Can anybody help me if the labh singh shop still exists in jugsalai.I would love to visit it this time.BTW the narayan kulfi was best in my days. These always used to be our fav spot.. wen i was at jsr, and hope to visit them next time i will be there..
And not to forget is Pappu Chat (fan of madhuri), who always served the best chat in jamshedpur. thank u santosh of reminding us of those joints. Sudhir: No idea about Labh Singh, maybe Manoj Prasad can help. I agree on Narayan Kulfi. Best of luck on your next trip! Subodh: Thanks a lot! Next time I must check out Pappu Chat! I would like to add Novelty(the old one) for its delicious mutton curry gravy!I have yet to taste such gravy again.When have you been to Jsr?Alas,since my mom moved to delhi I have no one in the town of my origin. Things are fast changing in JSR. 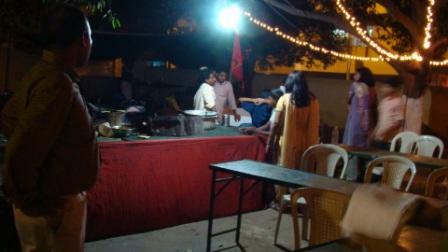 There are so many eateries are springing up..
Bhola maharaj, Nadia are tasting different.. Or am I growing old!! This time in my jampot visit , i would like to try out some really good chinese food..i know franks is the best ;)..but can anybody tell me about any other place..i have also tried hong kong..even that is good but a bit expensive..has anyone tried Regent chinese food or Center point chinese food..
Santosh bhai, the unnamed D Road “Hotel” is un-officially called the “Dhaba”. I relished this taste this year once again when I was in Jamshedpur. My cousin who flew in from Bangalore along with me was delighted with the taste. The other new ‘Chanachur’ shop that has been existing in Sakchi is the famous ‘Girish Chanachur’ with the branding as ‘Sreshtha’. 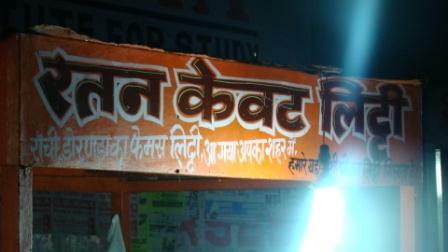 Of late this vendor has been providing a variety of stuff which is at par with the ‘Fakira chanachur’. Thanks for the blog. The jilebi and singhada joint near Narayan Kulfi at Sakchi market, The madras hotel, madrassi sammelani.for dosa, vada, vegetarian foods at Bistupur, Kerala Samajam canteen for masala dosa and veg south indian food, kaveri restaurant in sakchi, Maharashra bhavan for its chappatis with ghee and the veg subjis, Jamshedpur has all. You made me to remember my Jamshedpur days from 1972 till 1983. I lived in GT Hostel III, Sakchi and Sonari West E-Road and G-Road. I loved D-Road Samosas and Aloo Bondas. The owner of BTH was my friend. Sorry to know BTH is closed. Every time, I go my my parents place, I would take 2-3 Kgs of Fakira Chanachur. I miss these now as I live in US. Thank you for writing. I too lived in Sonari West- on D Road- till 1978 when I left for studies outside Jamshedpur. My parents still live there. You made me remember those days when my friends and i go used to go eat that pav bhagi and that was the place where we had enjoyed memorable evenings of our life besides of those snacks. i was amazed to recall all the stuffs when i was in jamshedpur ,my old golden days of visit to novelty/franks and manohar maharaj/narayans kulfi the most delicious stuff they used to serve in the early days of 60/70/80s untill i left jamshedpur for africa,where i spent 28 long years but always missed tatste /stuff of jamshedpur. the most tastey and mouth watering fakiras chanachur and samosa of kagal nagar where my in laws were thereand whenever i visited them will call for these stuffs. the old golden days .there is new addtion on dimna road one should try vegeterian food opened by labh singh ,it is awesome ,clean and hygenic.you get there all kinds of food including veg chineses.try it. Thanks for your comment, Jamshedpur maybe be known to the outside world as the Steel City, but for the Jamshedpurian, it is also a great place to eat. welll there are a few more joints that are signature hall mark to js – bhatia’s milkshake, gaurongo mistaan bhandar (misti doi is to die for!!! )bhel puri joint outside kamani centre . ther used to be erstwhile meals on wheel monalisa fsat food long ago but i guess they r all gone! also in Sonari – Shera’s chowmein is just out of this world!! i had it 2 yrs back n was surprised coz these guys managed to keep the tsate intact!!!! also there was a cutlet cart next to BTH! also the MP chaat behind BTH n the heavenly Masala cold drink outside gopal maidan (Havent had that in a long long time now!! :( also shankar ka ice gola (ice candies outside DBMS school- also the jhaal moodi and teh amavatwalas gosh!!! I guess the list is endless!!!! Wow! I am impressed by the additional suggestions. 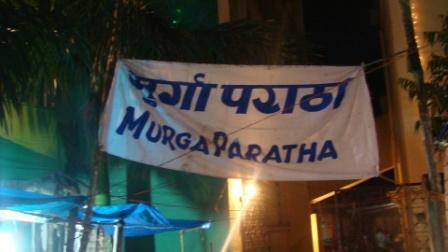 Bhatia’s, Gaurango, Masala Cola at Gopal Maidan….. Btw, durimg my school days the maidan was called Regal Ground…. Thanks for posting this. Brings back a lot of very tasty memories. I haven’t been back since 97, and with no close friends left there, I have no reason to return. But Ive been hoping to return for just the street food. Why don’t you? 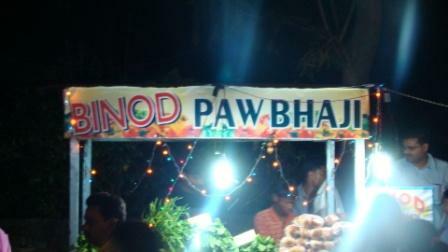 If only for the street food!! Really these blogs reminds me of all wonderful tasty food of Jamshedpur which i miss a lot …..
Can somebody tell me where exactly is labh singh chaap dhaba…. I am dying to try out there few delicacies …. still some of the food items of jam are unique in taste and you will not find that anywhere in the world ….. I hope someone helps you out on Labh Singh dhaba details. Thanks santosh will check it out and give feedback.I am a great foodie myself. Santoshji, as usual your blog creates a big hustle bustle in my life and feel like going to Jsr as soon as possible and when i land up there i can’t visit all the places due to time constraint….Indeed your blog makes up for that. Thankx for the same. Yeh jadoo hai, Jamshedpur ka! You missed out on mentioning the famous “Golgappas” available in jamshedpur…especially in Sakchi Golchakkar…N also the lovely eggRolls of “Lakhi egg Roll” in sakchi near Basant Talkies…Nyways the Street food of Jampot is legendary and arguably better than most places in India!! i am from jamshedpur sonari , here is list of my fav. street foods and i request you to plz try my choce of vendors atleast once. dosa and idli – jubliee park second gate (sakchi side) you will see (rather ask somebody nearby) for GOPAL DOSALWALA , try his dosa and idli best in jamshedpur . golgappa – in bistupur just at frank resturant entrance there is a golgappa stall, lovely golgappa and papdi and very nice behavior of the vender. 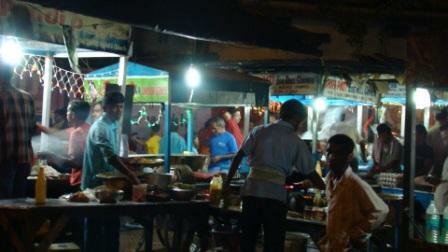 for litti – in sakchi near diamond shoes there is a litti stall “kevat” try his ghee litti piping hot, mouth watering. 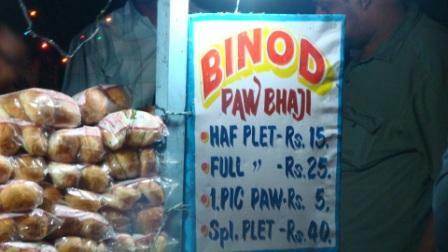 egg/chicken rolls – bistupur baby hotel ( opposite hero honda showroom) a very small eatry but amazing rolls . What delightful add-ons Rahul. I am visiting JSR next fortnight and I must check out some of the places you mention! Thanks once again. I am born & brought up in Jamshedpur but has shifted to Delhi about eight years back. I normally go to jamshedpur once a year during diwali. i would like to add few more: Dawat restuarant of Asian Inn hotel (in Dhatkidih) for Kababs & Biryani, Gourishankar Cabin ( Sakchi) for Misti doi, MISTI near Ambagan for Muglai Paratha, Madrasi Hotel (Bistupur) for authentic south indian. But Fakira chanachur is really very very special and the chanachur with onion, nimbu sprinkled they give free in a thonga in Bistupur is heavenly. Last time i had brought 4 Kg fakira and 3 Kg Shrestha chanachur from Jsr in Nov. In 4 months, its all gone and craving for more. At last Madrasi hotel came up!!! love there dosa and sambar vada, i couldnt visit jamshedpur this winter due to my internship in chennai, seriously take aways in jamshedpur are the best and also some very fine resturents are comming up!! It seems like you have not gone deep. These are just few, I have tried almost everything from Jublee park Food trucks to Bisturpur Thelas. From Telco bazar carts to Big hotels like Holidei inn etc. I am food lover and Jamshedpur has gone treat, you can find food from every cuisine, but still what lacks is class and experiment. Everybody is cooking the same. Read about Haathi Kheda Mandir, Jharkhand here.